Olufumike releases her debut single titled "IN MY LIFE". passion and praise for God. blessings and grace towards her. 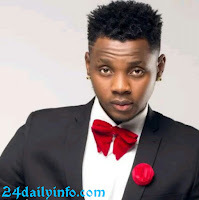 ''OjoKan'' Is An Artist Currently Signed To Ib Boyz Records. Decemeber 1994 At His Home Town. Ojo Can Be Classified As The Prodigy Of Juju Music And Afro Pop. He drops this New Song Titled Omo Oloja, A Song That Has To Do With Life And Difference Experience And Situation. Omo Oloja Was Produced By Flexy. Mixed And Mastered By Swaps | The Legendary Audio Mixing And Mastering Engineer Studio swaps. out with his first official single "4Dayz". Listen to 4Dayz and share.